Business one: "We adopted [this solution] because we were told that we could selectively invite customers to post reviews and that customers could only post a review at our express invitation." Business two: "We adopted [this solution] because we were told that, due to the sensitivity of our profession [legal] we would be able to have negative reviews suspended pending confirmation from the client that they had indeed conducted business with us." So why were they speaking to HelpHound? both had come to realise that the solution they had adopted, combined with the way they had been advised to use it, was in contravention of the CMAs regulations. "We adopted [this solution] because we were told that we could selectively invite customers to post reviews and that customers could only post a review at our express invitation." The superficial attraction? Very simple - no business wants to attract negative reviews, so being able to restrict invitations to 'happy' customers looks great, until you check on compliance with the CMA regulations. Likewise customers being able to write a review by invitation only - which flies in the face of the CMA regulation that stipulates that any customer must be able to write a review at a time of their own choosing. "We adopted [this solution] because we were told that, due to the sensitivity of our profession [legal] we would be able to have negative reviews suspended pending confirmation from the client that they had indeed conducted business with us." On the face of it? Eminently sensible; after all, what business - or potential client - wants reviews from people that have not experienced, first hand, the service under review? In theory, at least, this is a runner. But not in practice. The minute the business uses a mechanism that removes the right of the consumer - any consumer - to have their review, whatever its content - published, without unreasonable delay, and especially where the business has any influence over the duration of that delay, the business becomes non-compliant. The conundrum is simple: businesses want to look good, compliantly. The regulators, on the other hand, insist that the consumer always retains the right to have their review, whatever its content, published. The solution is also simple: and it's called moderation. Every review at HelpHound is moderated - by a person, not an algorithm - and any that have the potential to mislead or misinform are immediately (or as close to 'immediately' as humanly possible) served to both the business and the reviewer, the rule being: the reviewer always retains the right to have their review, whether the original or a modified version, published at any time during that process. ...is a review saying 'I was prevented from writing my review by HelpHound (or by a HelpHound client)' or 'the mechanism X business uses prevented me from having my review published'. 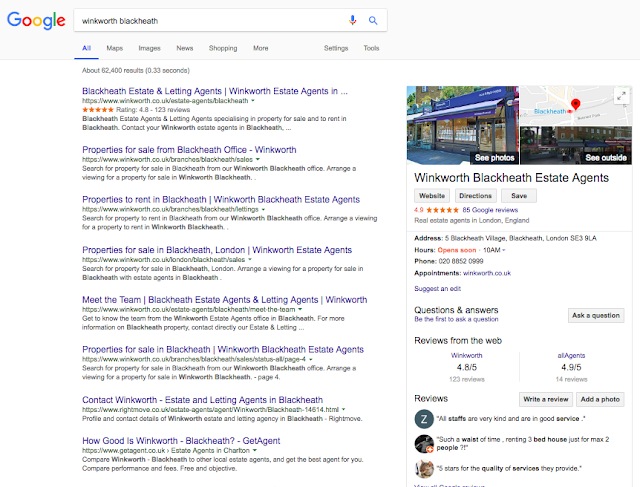 A typical HelpHound client - scoring 4.8 on their own website (with 123 reviews - four of which are negative) and 4.9 on Google (with two negative reviews out of 85). Every reviewer who has posted to the business's own site has been invited to copy their review to Google. 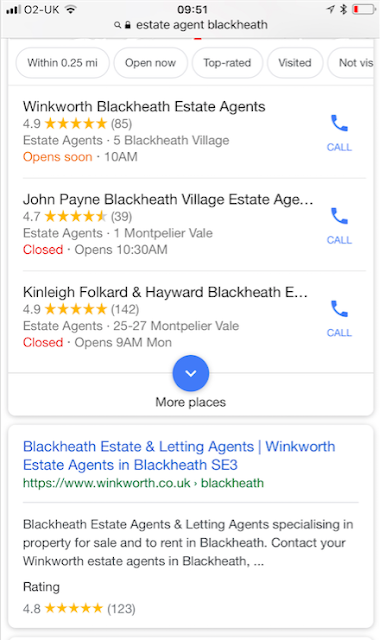 And in local search? None too shoddy - and fully compliant. In other words: the best of both worlds. Yopa raises £20 million - so what? Car rental - without reviews, where would we be?